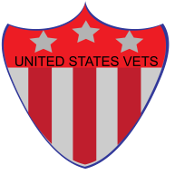 Volunteer for US Vets Inc.
You are here: Home / Uncategorized / Volunteer for US Vets Inc.
United States Vets Inc. is in search of a book reviewer for our website. This monthly position, which is voluntary, will review military publications and history. We are looking to fill this position by the end of the year. There are numerous stories to be told by the veteran. Stories of valor, brotherhood and sisterhood, amazing feats and challenge need to be told. If you have a story you would like to pen for our website and share with the ever growing veteran community, please contact Leslie at Lclouden7@gmail.com for writer’s guidelines.